FREE GIVEAWAY - Drawing Bloodlines Audio Book! 13 Days Left to Enter to Win!! 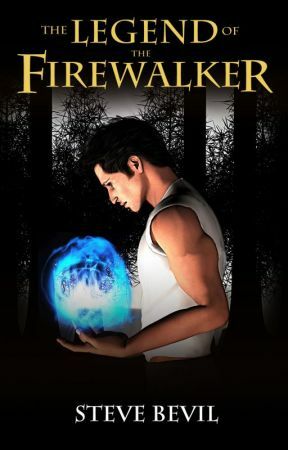 More information about the series is available at www.legendofthefirewalker.com. It was the end of the spring semester. Leah had never been a fan of staying at Lawrence Hall, the all-girls dormitory on campus, but she had promised her mom she would the year before. It was evening and the Illinois University at Cahokia Falls (IUCF) campus was buzzing with students celebrating the end of the school year and the end of finals. Leah, on the other hand, didn&apos;t have celebration on her mind. This semester had been a difficult one and she was looking forward to going home. "Oh my God, Amanda!" she shouted. "You didn&apos;t!" Leah rolled her eyes and shook her head. "I can&apos;t believe you kept your date with Hector last night after you made up with Steve," she said. Amanda had a glowing smile across her face. "Of course," she shrugged. "Steve and I-well, you know." Leah shook her head in disbelief again. "Know what?" she asked, through squinted eyes. "The other day you were just complaining how you and Steve belonged together." She paused to adjust her leg more comfortably on the bed. "How there was no one in the world you would rather be with and how you two were destined to get married." "We are, we are," repeated Amanda, while flipping her long, straight, blond hair as she teased it in the mirror. "Hector is too much of a townie, anyway." Leah drew a deep breath and sighed heavily as Amanda spun around the tiny-sized dorm room in her new sundress. The red and gold dress fit snugly against her small frame and complemented her slightly tanned skin. Amanda reached down to slide on a pair of shoes she had purchased earlier in the day with Steve at a summer shoe sale at the mall near campus. After staring intently in the mirror again, she repeated teasing her hair. Impatiently, Leah glanced at the clock. "You know you&apos;re going to be late," she said. "I won&apos;t be late," said Amanda, confidently turning to face her. Amanda&apos;s green eyes sparkled and she had a huge grin on her face. "So, how do I look?" "Late," uttered Leah, while glancing at the clock again. "Steve said he would meet you downstairs like seven minutes ago." Amanda frowned and then picked up her cell phone. "See," she said, holding it up. "No calls, no text - so he must not be here yet." "That was his point in asking you to meet him downstairs." Leah glowered. Amanda smiled and then enthusiastically sat down next to her on the bed. "Okay - what&apos;s wrong?" she asked. "Nothing, really." Leah shrugged. Amanda raised her eyebrows and continued to stare at her. Leah sighed. 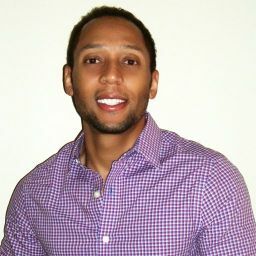 "It&apos;s just - it&apos;s just that last night, I asked Lafonda to come hang out with me when you didn&apos;t answer your cell phone." There was a brief silence and then Amanda pursed her lips. "I&apos;m sorry," she said, offering her a quick hug. "I was ... busy." "Oh, okay," nodded Leah. "I wonder if Steve knows what you mean when you say you&apos;re busy." "Oh, he does," winked Amanda. "Trust me, but he probably thinks it only applies when we&apos;re together." She paused and then shrugged happily. "Oh, well."